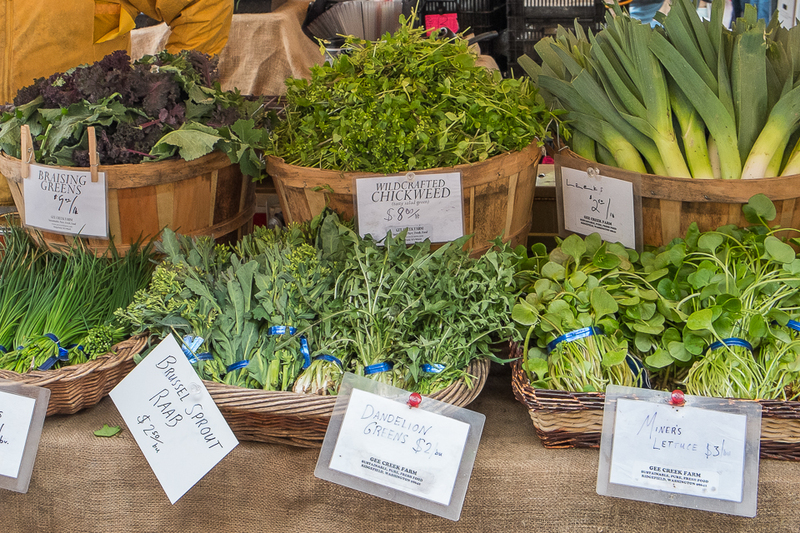 We were in Portland, Oregon earlier this month, timing our visit so that we could go to the Saturday Farmers Market. 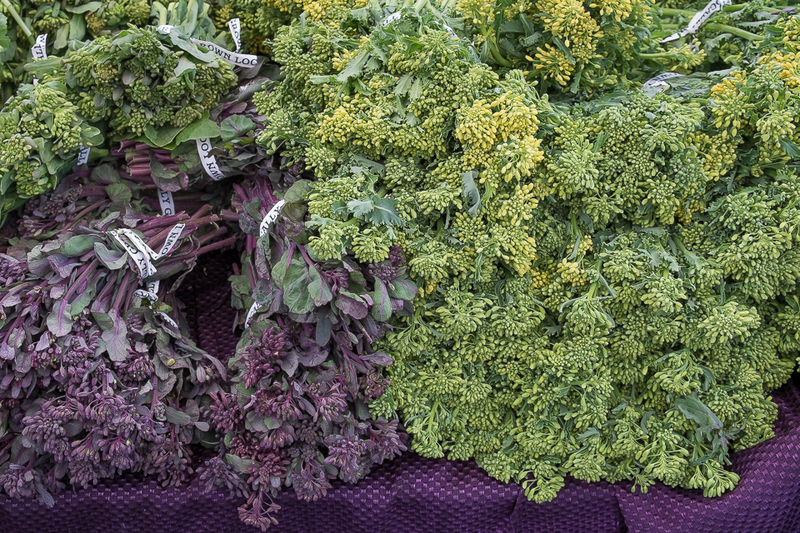 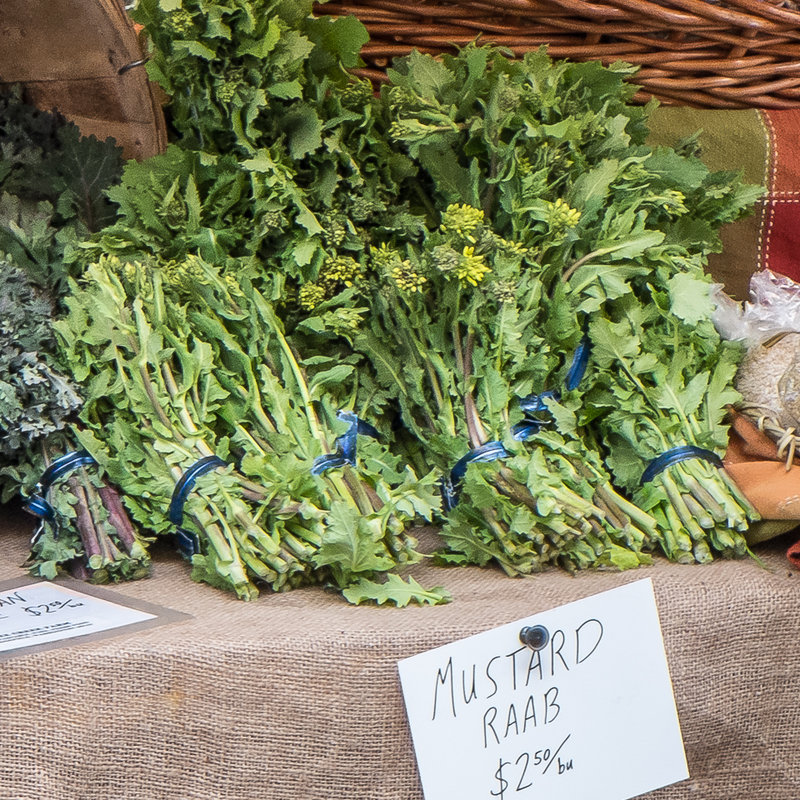 Even in early spring, this wonderful market inspires with a bounty of fresh vegetables. 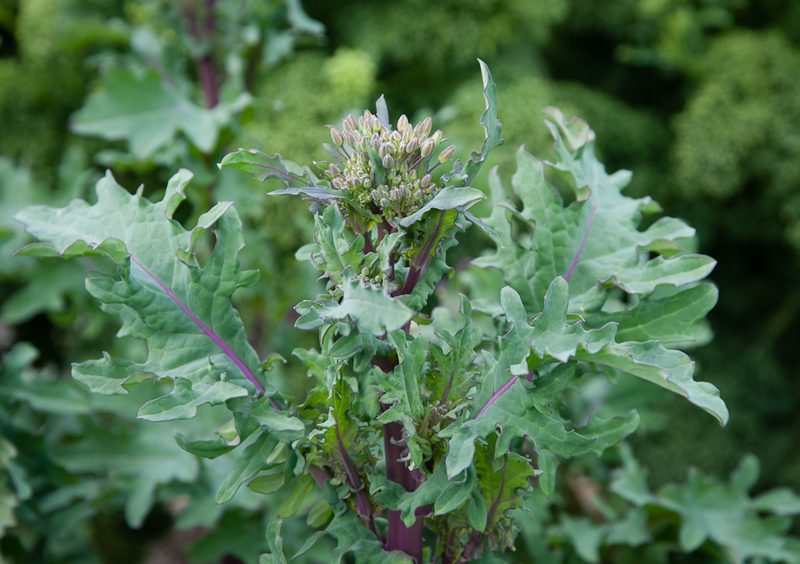 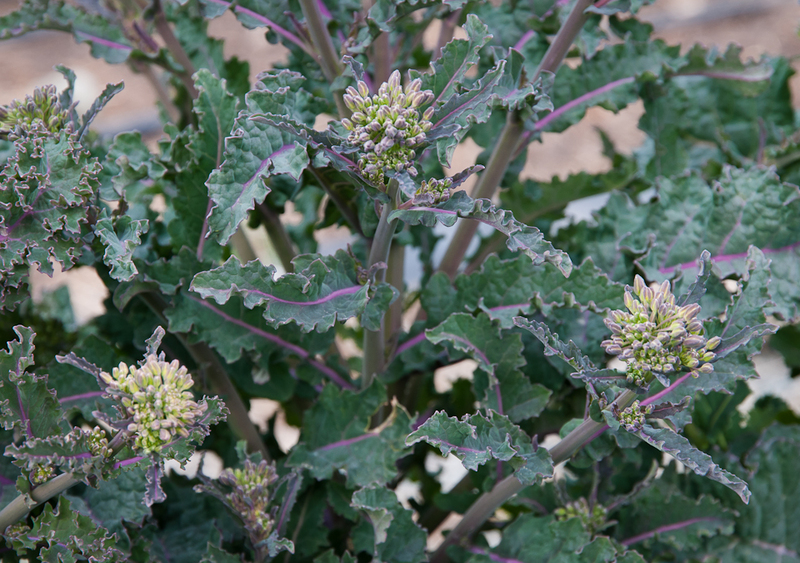 A highlight for me was seeing bunches of kale, Brussels sprout and mustard flower bud tops at many of the stands, confirming that others enjoy these tasty spring offerings from the Brassica family as much as I do. 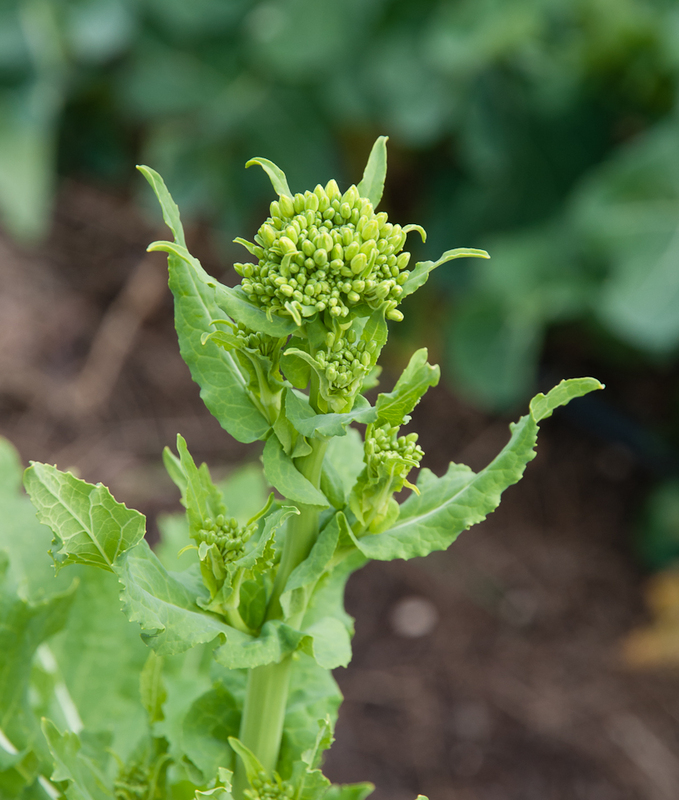 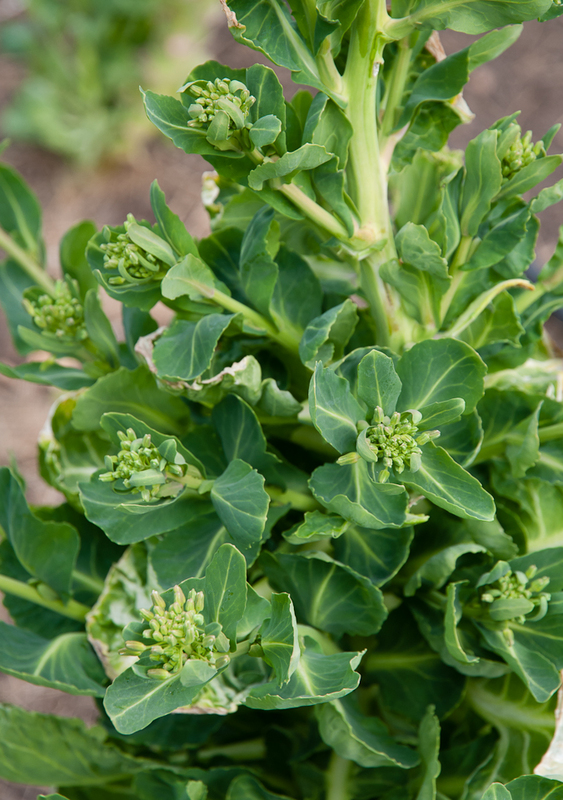 I was interested to see that several vendors called these flower buds raab, linking them to broccoli raab, the pungent green popular in Italian and Asian cooking. 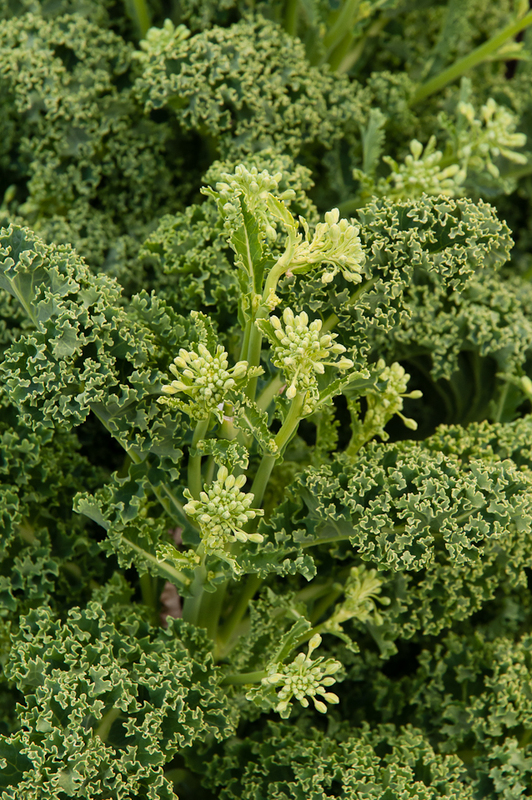 Kale “raab” tends to be sweet while Brussels sprout “raab” is a bit more earthy and mustard “raab” deliciously spicy. 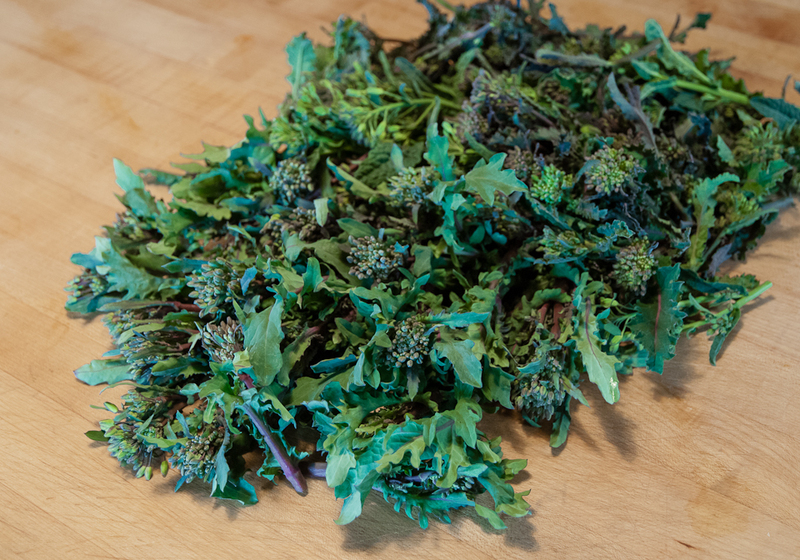 When we got home from our travels, I was happy to find all of these “raabs” in my kitchen garden. 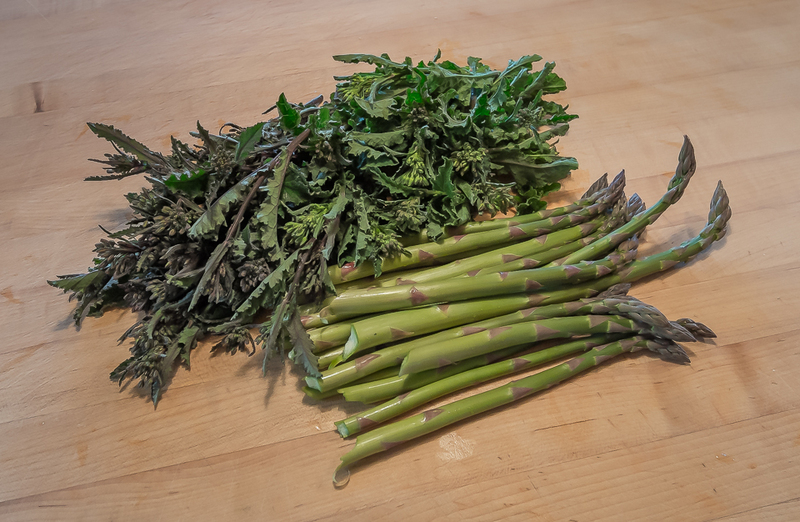 There was also asparagus ready to harvest and lots of perennial herbs, chives, new growth thyme, burgeoning mint and parsley, all welcome flavors of spring, all beautiful and all offering inspiration for this season’s meals. 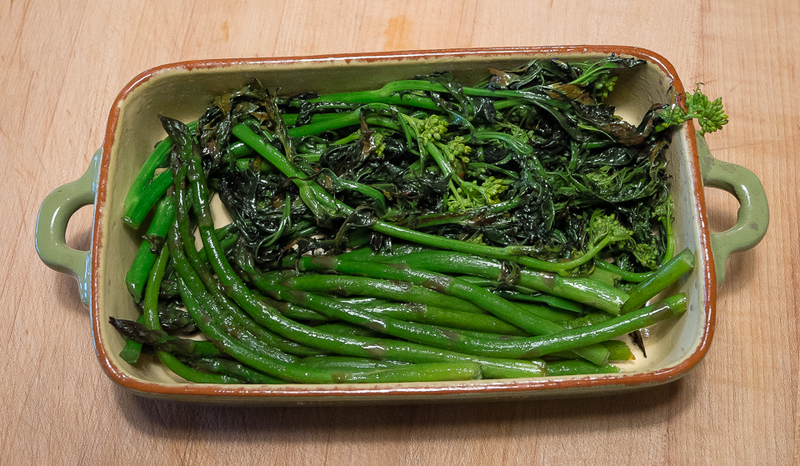 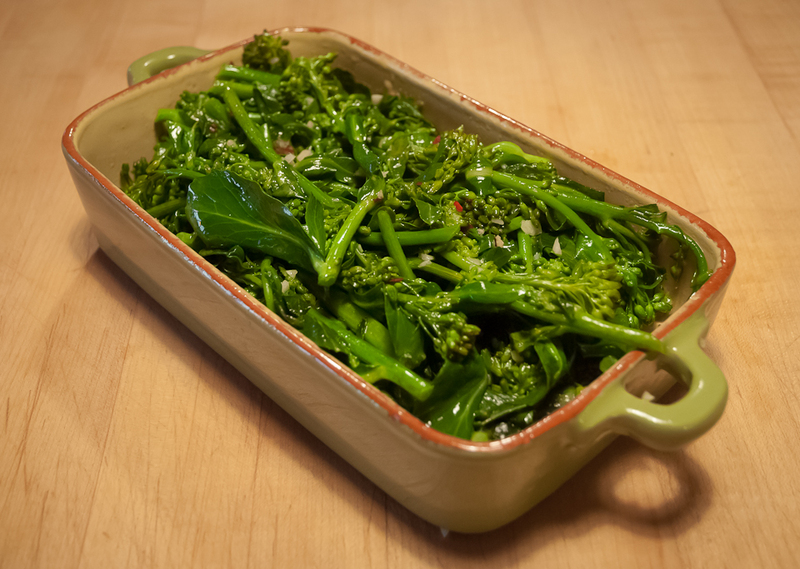 A quick stir fry of mustard flower buds and asparagus created a lovely side dish. 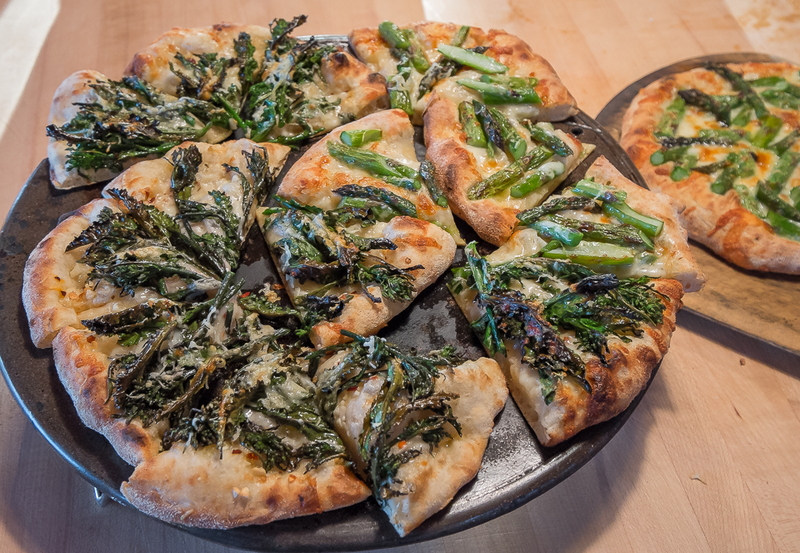 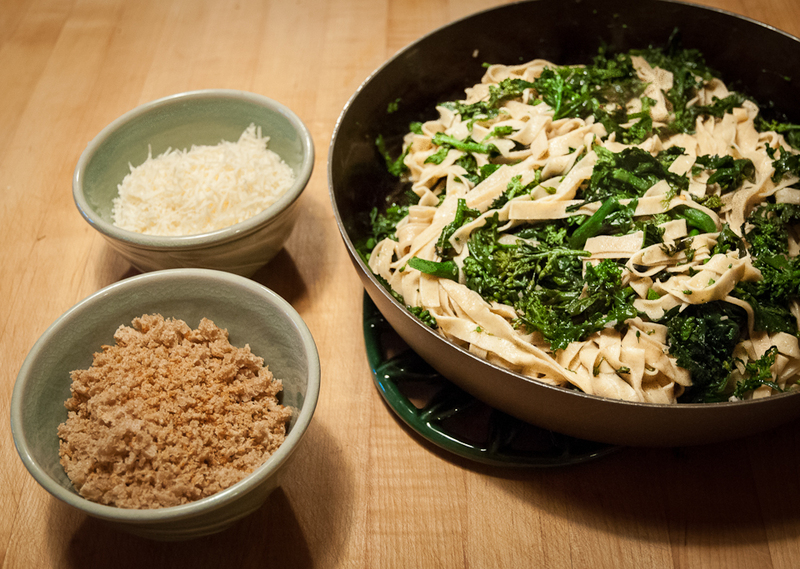 Another night, kale flower buds and asparagus became pizza toppings. 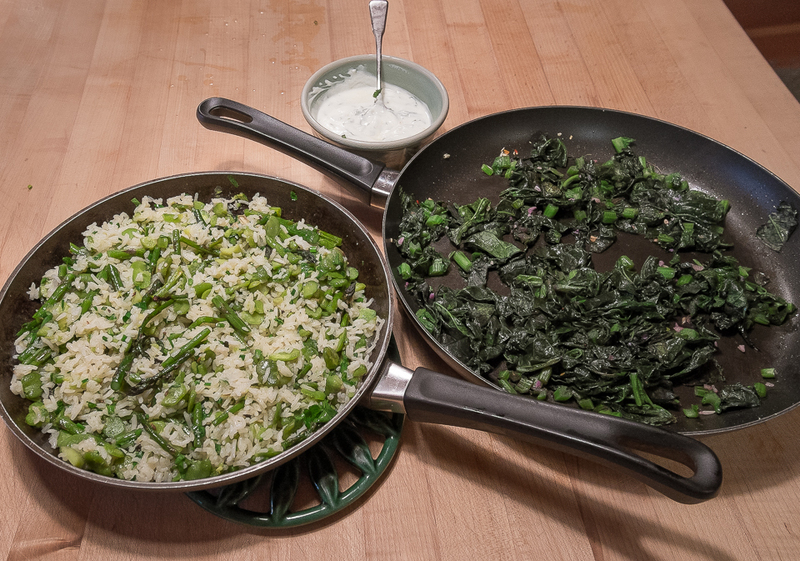 And on another night asparagus and herbs combined with last year’s frozen fava beans to make my favorite spring pilaf. 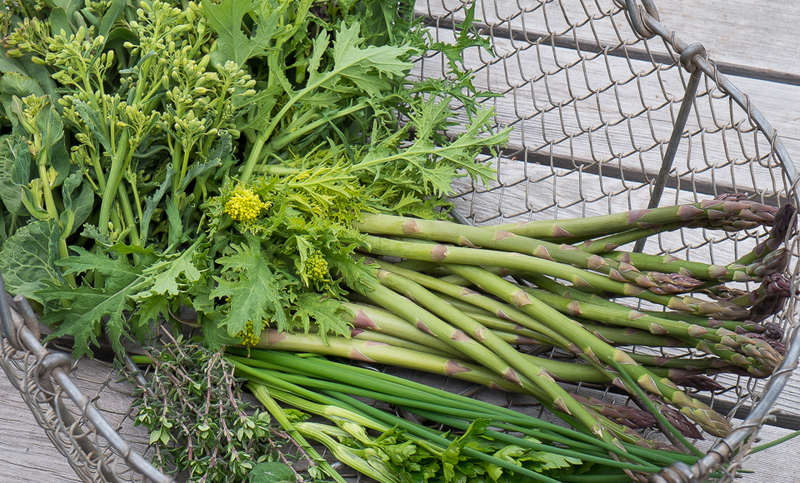 This time of year the landscape offers new shades of green each day and so do the contents of each day’s garden basket and each evening’s dinner. 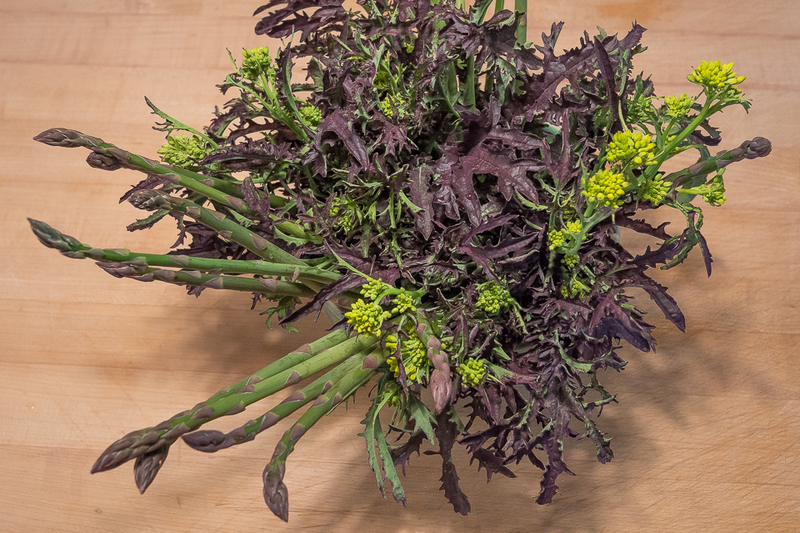 I’ve written about kale, Brussels sprout and mustard flower buds before, about asparagus and about fava beans but there’s pleasure in writing about them again just as there’s pleasure in finding them in the garden each spring and transforming them for the table.